Your neighbor, mother-in-law or coworker may have a lot to say about how to maintain your plumbing, but how much common plumbing knowledge is actually helpful? 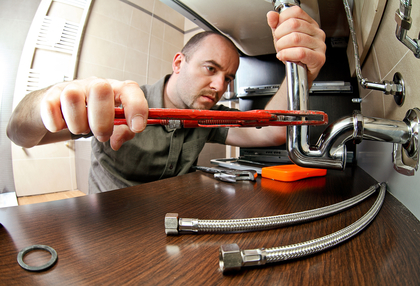 Below, we take a look at four common plumbing beliefs and how they hold up to fact or fiction. Except for the insomnia portion of your week, when the noise drives you nuts, a slow faucet drip isn't a big deal, right? Wrong. Not only does a drip waste a surprising amount of water over time, which increases your water bill, it may also be a sign of bigger or coming problems. If tightening the faucet valve doesn't stop the drip, it's probably time to have a professional look things over. While placing a brick in the toilet tank does push the water level up, reducing the amount of water that flows into the tank with each flush, displacing too much water could cause the toilet to function poorly. A brick—and almost anything else you put in the tank—will eventually corrode or degrade, and pieces or debris could cause costly clogs and leaks. Moving water freezes slower than immobile water, so leaving a faucet with a slow drip on the coldest days can reduce the chance that pipes will freeze. Freezing is a bigger problem for faucets serviced by exposed pipes, so those are the faucets you need to open. Moving water doesn't completely stop pipes from freezing, though, so take other actions such as closing outdoor valves before winter, insulating exposed pipes in basements, and opening cabinet doors to keep indoor pipes warm. Even though tissues look a lot like toilet paper, the construction of the two are very different. Toilet paper is made to break down quickly in sewage and septic systems while wipes and tissues are not. Even wipes marketed as flushable can clog systems; unless it's toilet paper, you're probably better off throwing it in the waste basket.